Technical Car Experts Answers everything you need: Dodge A/C come out of defrost vents only? Many other vehicle brands to notice this types of problems. Cracked vacuum line,loose hose or worn out hose can cause such problems. A knocked a line off vacuum pump about a year ago and blower will only blow out the defrost. It is a little black hose going into a elbow right off the vacuum pump. Check the Vacuum pump and the line and rubber 90 degree that comes off of it to the firewall.In most of the cases its common for the main line to get rubbed through by the battery/ grid heater harness and the 90 degree elbow gets hard and brittle. If you dont find anything there,then look on the passenger side firewall. 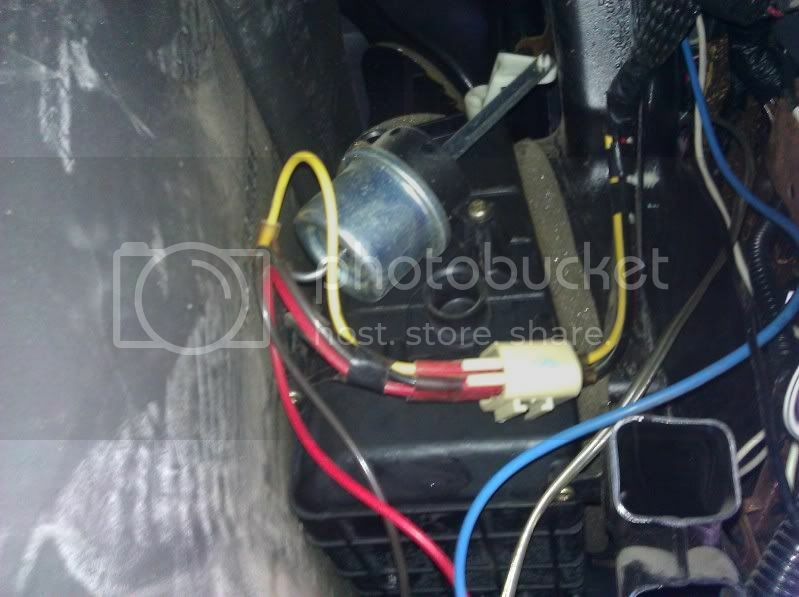 You will see there is a small vacuum line that runs into the cab next to the heater core or evaperator lines. The little black line is off the Vacuum pump if the line comes off or is broken the vents default to defrost. Follow the line from the Vacuum pump and see if it has broke or come off a fitting. Its a connection in the blend door in the little black plastic box under the passenger side dash. Need a 90 degree (right angle type)screwdriver to get to it. Also check the cruise control servo.That is underneath the driver-side battery. In some cases its seen that battery acid drips down onto the plastic vac line, eats a hole in it.And that causes the same problem. Its called the blend door interposer. That controls the cold/heat. Yours is going to be a vacuum issue. If you look up under the dash on the drivers side (kind of behind the radio) you will see line/blend door and actuator. In most cases this gets stuck - possibly yellow vacuum line (could be red) is connected to it. If you pull the line and check for vacuum this will give you an idea if the actuator is bad or there is no vacuum present. You don't need to pull the radio or take half the dash apart. The connector is lower down, on the same level as the gas pedal but in the middle of the cab. There you will see 8 vacuum lines on each side, all different colors. In some cases the vacuum line that comes through the firewall to the HVAC controls has a kink in it. In that case disconnect the line from inside the cab, then pull it out through the engine compartment. Cut the bad spot out and run the line back into the cab. Then inspect. Your best bet is to go under the dash and find the connector where all the vacuum lines for the HVAC run together. Then identify the supply line and see if you have vacuum there.